So, you wonder how to make an intro for your YouTube videos. Intros can be a great way to introduce you and your brand right at the beginning of the video. And, having an amazing intro can keep them watching your videos longer. Creating an intro for your YouTube channel is simple and effortless. It will take no more than 3-4 minutes to get a high-quality intro video. Let’s see how to make an intro for YouTube with Renderforest. Get your Youtube video intro in 2-3 minutes. If you don't have a logo or need a new one for your awesome intro, you can look for some graphic design inspiration and create it by using online logo maker tools. Create a stylish Neon Power Logo Reveal template. Featured with a cool neon atmosphere and high contrast look, this template is perfect for presentations, online channels, introductions, and more. 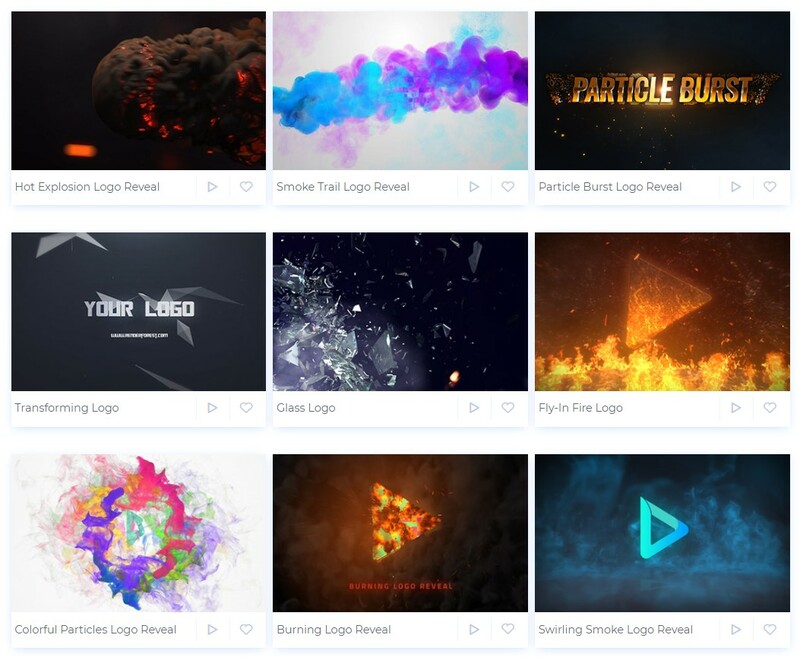 Create your desired logo animation and get an entirely new intro for your YouTube video. The Mirroring Light Logo Reveal will make your logo look smooth and professional. Choose one of the 4 suggested styles, customize the colors, spice up with an epic sound and download the catchiest logo animation ever! Perfect for company introductions, presentations, TV commercials and a lot more. The glowing diamond piece moves slowly to the center, joins the endless space and spouts into shining particles spreading its light to showcase your logo. Use the Sparkling Diamonds Galaxy Opener to awake the feelings of your audience to a higher level of perception. A powerful way for the awards opener, fashion intro, commercial promo, company introduction and many more. Imagine your logo welding out of metal with sparkles flying. Welding Logo Reveal is the complete implementation of your imagination! Simply upload your logo and get a professional animation in a few minutes. Shockwave Blast Logo Reveal is specially designed to give your logo a hyperenergetic touch. Amaze your audience with energizing vibes - give this brand new template a try right now! Create an inspirational pink world of cherry blossoms. Japanese Sakura themed logo animation is what you need to make your logo glow with spring colors. Where words fail - music speaks. Music Touch Logo Reveal will be a perfect opener for your music portfolio. Create your intros for music events or recording studios, YouTube channels, TV commercials, and other music projects with the help of 3D animated music notes. Create an awesome teaser and logo animation at the same time with the Quick Presentation Opener. Perfect for educational projects, corporate presentations, YouTube videos and many more. The attention-grabbing solutions with inter-winning light trails are here to create your logo and give it a sharp look. With animated flaring light trails your logo is being formed and revealed highlighting all its glory. Use the Light Trails Logo Reveal template to create a perfect intro, outro, opener for presentations, company or corporate promos and many more. Deep animated shot of space in all its glory, with the ring and featuring light rays will showcase your logo giving it a special glitter. Perfect for intros, outros, a documentary opener on astronomy, cyberspace videos, network technology, sci-fi film, series, presentations and many more. Use this dazzling template which features neon lights and a modern look to show your presentations, online channels, introductions, and more. It is a perfect way to introduce a logo for anything related to high technology. Present your logo in a powerful way with the Impact Logo Reveal template. Featuring 3D animations, a theme color selector, image uploader, and audio track selector, this template is a great way to introduce your logo with your own flair. The Burning Logo Animation template is a great way to promote a company logo or just a text reveal with a little bit of an edge. Featuring exciting fire and burning effects, this logo reveal is suited for getting your audience excited and fired up. The Spherical Logo String logo reveal animation is a simple but powerful way to demonstrate your company logo in a soothing and attractive atmosphere. Perfect for introductions and outro videos, as a lobby background, or as a way to start a presentation. The Abstract Universe Template is a great animation template for presenting logos. Featuring digital synapses and swinging transitions, this template reveals your logo surrounded by futuristic technology and impressive sound effects. The Electromagnetic Logo Reveal template features the Arc Reactor with its thermonuclear energy and futuristic looks. Amaze your clients with the Sci-Fi fusion field. 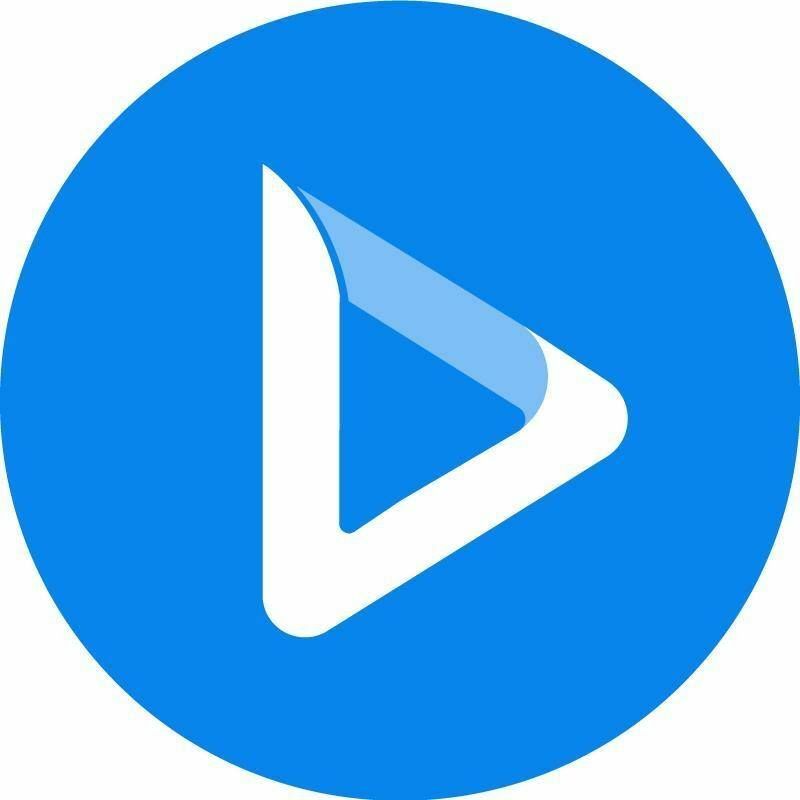 The Fluid Logo is an extended way to show your new logo. 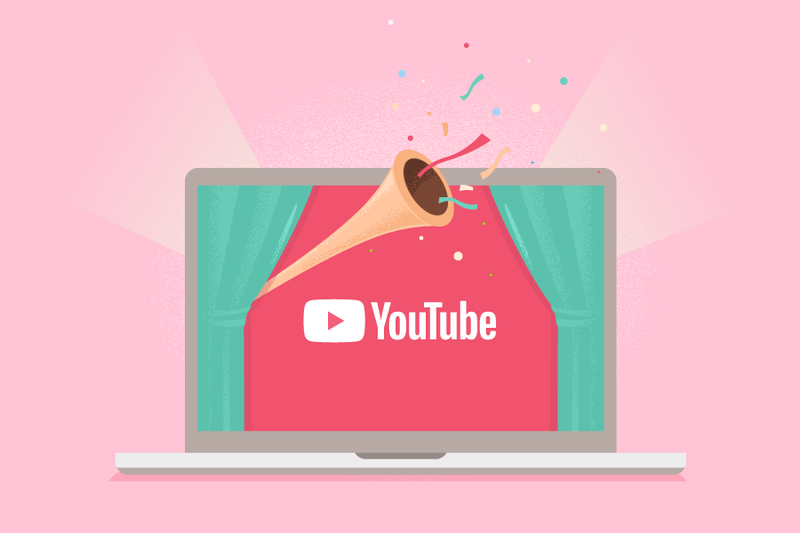 Suited for a repeated animation in your lobby, as an introduction to a new YouTube video, or simply as a way of introducing your brand. This template is a breath of fresh air in animation making. Pixelated Glitch Logo Reveal template features glitchy tridimensional effect. It’s an ideal intro for creative companies and videos related to the digital world. This template is a perfect solution for your high-tech channel on YouTube, or as a modern intro for a Sci-Fi movie. The Retro Logo Reveal brings you the taste of the 80’s for your nostalgia videos. The customization is very simple: add your logo and text, and we'll render you a video in minutes. These are the top templates from our library, but there’s more of them. Check out our customizable intro templates here to find the one you’d love and create your awesome youtube intro. Make your intro creating process easier and faster with us.